I have no idea who designates certain days to honor a particular food, but the fourth Thursday in February has been declared National Chili Day. That means this year it falls on February 23. According to the website, it’s believed that February was the month selected as it is typically one of the coldest months of year. I suppose that’s as good a reason as any. And chili is certainly welcome on a cold winter night. It was interesting to learn that the roots of chili are most likely in the Southwestern United States. Despite the location, we are all thankful for the gift of one of our favorite comfort foods. I am not a chili expert. My mother never made a pot of chili in her life, probably because of its reputation for being hot and spicy. But, I have come to love chili. Part of the reason may be because some of our favorite National Cornbread Cook-Off winning recipes were inspired by the perfect union of chili and cornbread cooked in a cast iron skillet. 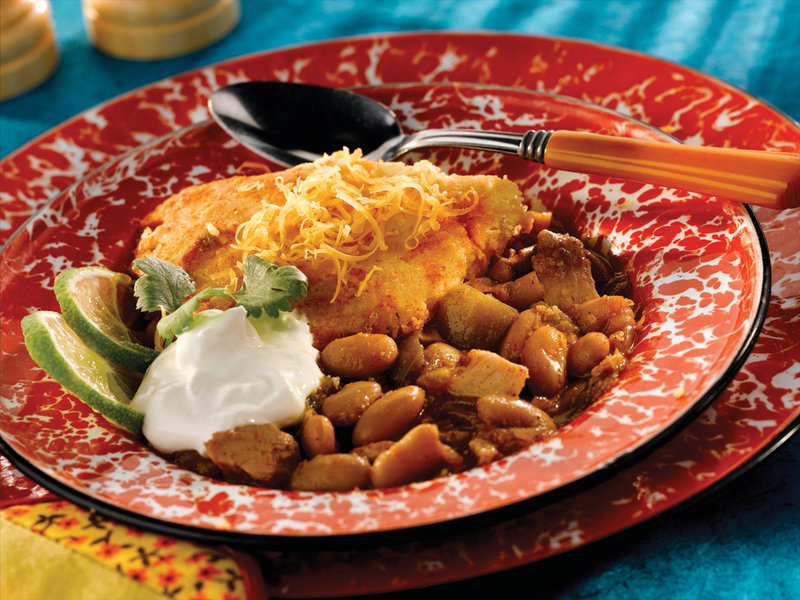 White Chicken Chili with Cheddar Hushpuppy Crust and Chili Dog Con Cornbread are two of my favorite cook-off recipes using chili. Fun for the whole family. Growing up in Alabama, it’s almost impossible not to get caught up in the excitement of football, but I think I always enjoyed the camaraderie more than the game itself. I don’t think anything generates more excitement than a bunch of avid fans getting together to watch the game. Of course, food and football are almost inseparable, so before game day it’s important to figure out what to feed your fans. Chips, dip and snacks are a necessity, but I like to have something a little heartier to serve at halftime. Since the entries in the National Cornbread Cook-Off are main dish recipes many of our past winners are perfect to serve for the big game. Here are some of my recommendations. 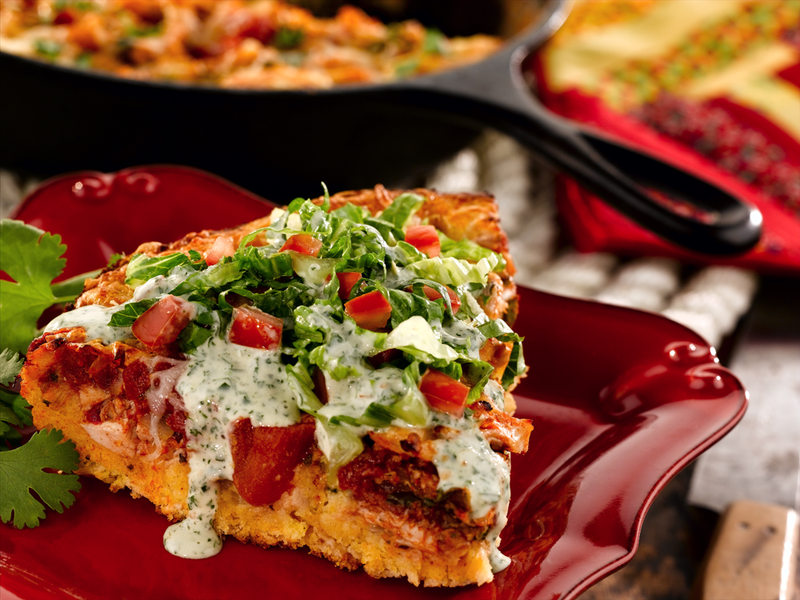 Buffalo Chicken Cornbread with Blue Cheese Salad: My husband first tasted this when I prepared it on some TV cooking segments and it’s been a week night favorite ever since. Chunks of frozen boneless buffalo wings are baked in a moist cheesy cornbread then topped with blue cheese salad. The dish has a great combination of spicy and cool flavors. Some of my other game day picks are White Chicken Chili with Cheddar Hush Puppy Crust and Chicken Taco and Cornbread Wedges with Ranchero Cilantro Drizzle. 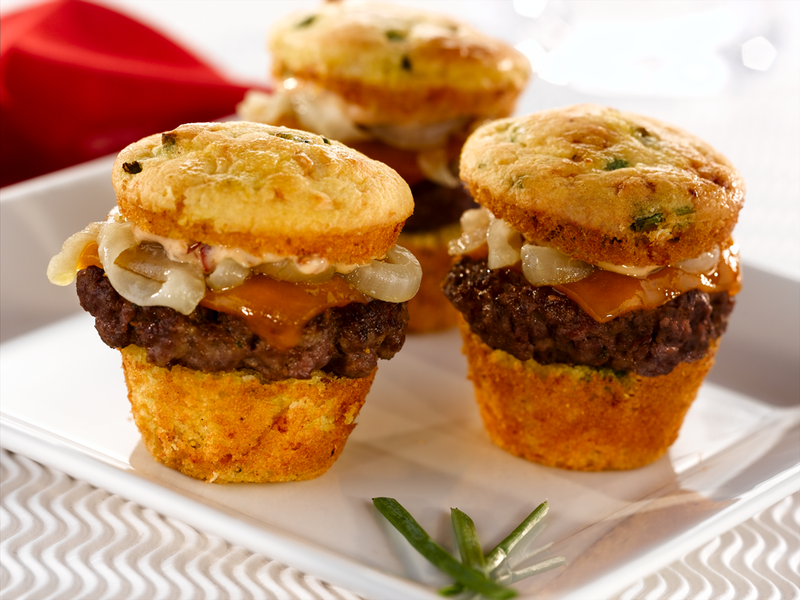 Bacon and Gorgonzola Cornbread Sliders with Chipotle Mayo are fun and delicious, but need to be assembled right before eating. No matter how the game turns out, you are sure to score points with any of these winning recipes. What are some of your favorite game day dishes?